Calling all dog lovers. 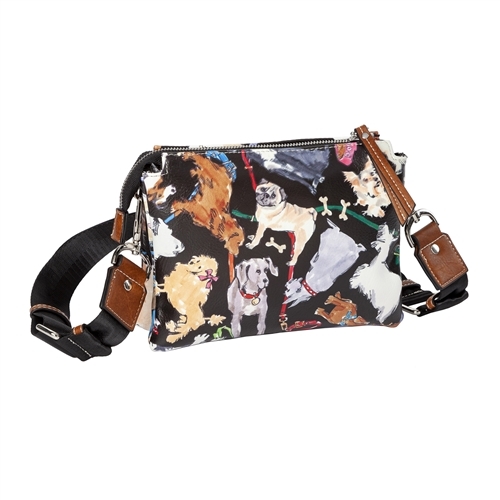 This vegan leather crossbody has a fun furry dog print with a sporty updated canvas webbing crossbody strap. Part of the Sydney Love Dog Collection. Crossbody crafted in synthetic vegan leather with an all over dog print. Print placement unique. Top zip closure. Duel compartment interior. 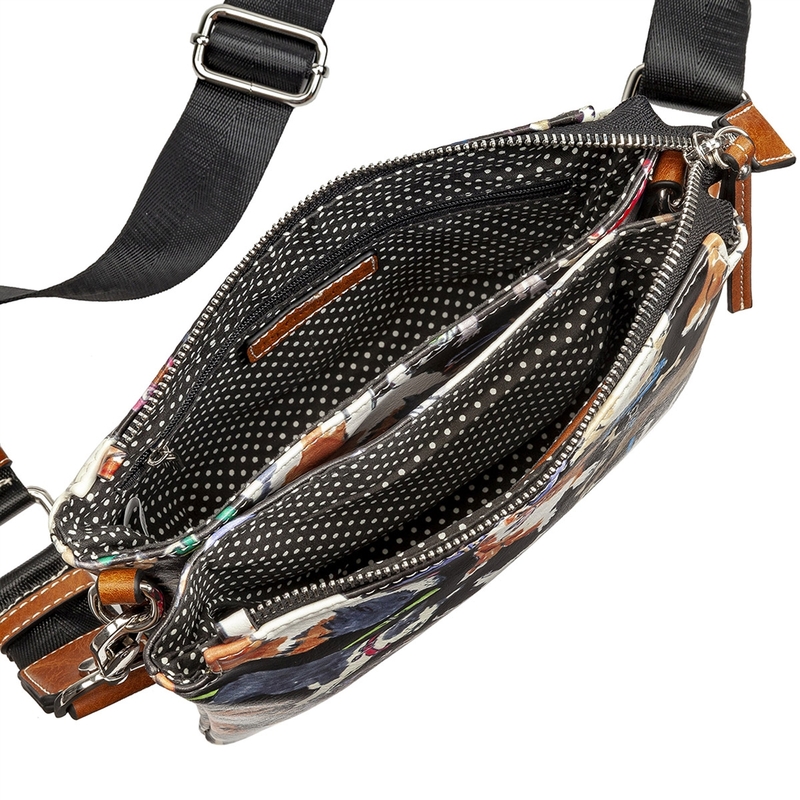 Lined, interior zip pocket.